Rebecca qualified in 2004 upon completion of her training at one of Shropshire’s largest law firms following which Rebecca spent five years working in Birmingham for Wragge & Co LLP and Mills Reeve. In this appointment she provided tax advice to high net worth individuals in both the corporate and agricultural sectors. Rebecca built up a wealth of knowledge and experience in taxation and trust matters, advising individuals on all aspects of life time tax planning matters including wealth preservation, succession and estate planning and the preservation of family assets on divorce. 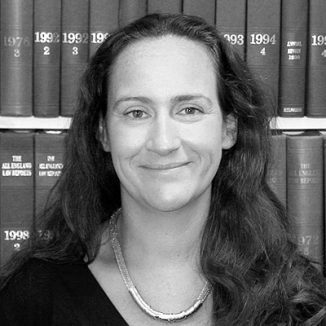 Since joining Harrisons’ family department in 2010 Rebecca has utilised this knowledge to advise clients on all aspects of asset preservation in contemplation of marriage and upon divorce to include the preparation and drafting of prenuptial and cohabitation agreements prior to marriage. Rebecca advises clients on all aspects of divorce, separation and child law and has conducted several cases with multi-jurisdictional issues ranging from the concealment and dissipation of assets overseas to issues concerning the risk of child abduction. Rebecca is highly regarded by her clients and other professionals for her ability to deal with matters empathetically and sensitively whilst seeking to ensure the best possible outcome for her clients. Rebecca is a member of the Law Society’s Family Panel.